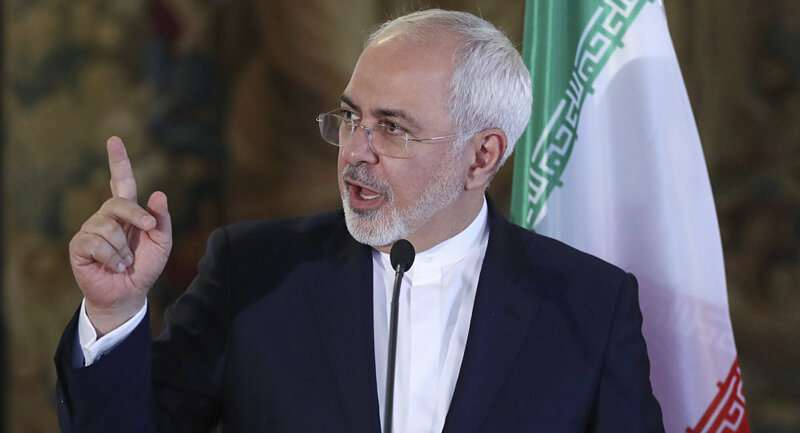 Iranian Foreign Minister Mohammad Javad Zarif denied recent Israeli claims that Tehran's nuclear program poses a nuclear threat, noting that Israel is the only Middle Eastern country in possession of nuclear weapons. MOSCOW (Sputnik) — During a visit to the United States earlier this week, Israeli Prime Minister Benjamin Netanyahu praised US President Donald Trump for his efforts to challenge the nuclear threat of Iran over its ballistic missile tests and program. The only regime in ME with nukes, ICBMs & a history of aggression whines about Iran's means of defense. Fear-mongering hype IS fake news. ​Iran, one of the original states to sign the Non-proliferation Treaty, signed the Joint Comprehensive Plan of Action (JCPOA) with the P5+1 (China, France, Russia, the United Kingdom, the United States and Germany) group of countries to ensure the peaceful nature of Iran’s nuclear program on July 14, 2015. Under this agreement, Iran pledged to refrain from developing or acquiring nuclear weapons in exchange for the lifting of sanctions imposed against the country. A UN resolution was passed shortly afterwards, reaffirming the nuclear agreement. ​On January 29, Iran conducted a ballistic missile test, which the United States claimed was in violation of a UN resolution. Iran has denied the allegations that it violated the resolution.